Come find me @ DesignerCon Booth 3146 ! SO PUPMED TO BE A VENDOR THIS WEEKEND DURING DESIGNERCON!! COME CHECK OUT MY SPACE @ BOOTH 3146! I’M GOING TO HAVE A FEW SPECIAL RELEASE PINS AND STICKERS AVAILABLE AS WELL AS SOME PRETTY COOL RAFFLES/GIVEAWAYS GOING ON! NEW PIN JUST HIT MY SHOP! "A whole cheese pizza just for me." Show everyone your love for one of my and I'm pretty sure your favorite Christmas movies ever, Home Alone! 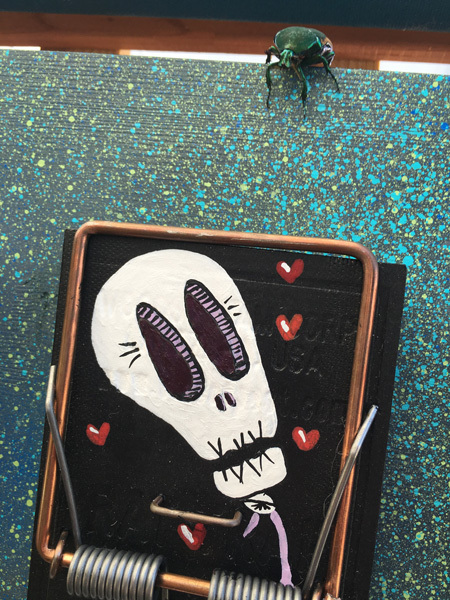 This hard enamel pin is sure to be an excellent addition to any pin heads collection. Made to look like the pizza box from the fictional pizza shop "Little Nero's Pizza" in Home Alone ,this pin has all the details right down to the shops phone number "555-8385". At the lower end of the box I opted to add in one of the famous catch phrases from the movie that is used during the pizza delivery scene where Kevin scares the delivery boy away and uses his gangster movie to tell him "Merry Christmas ya filthy animal!" 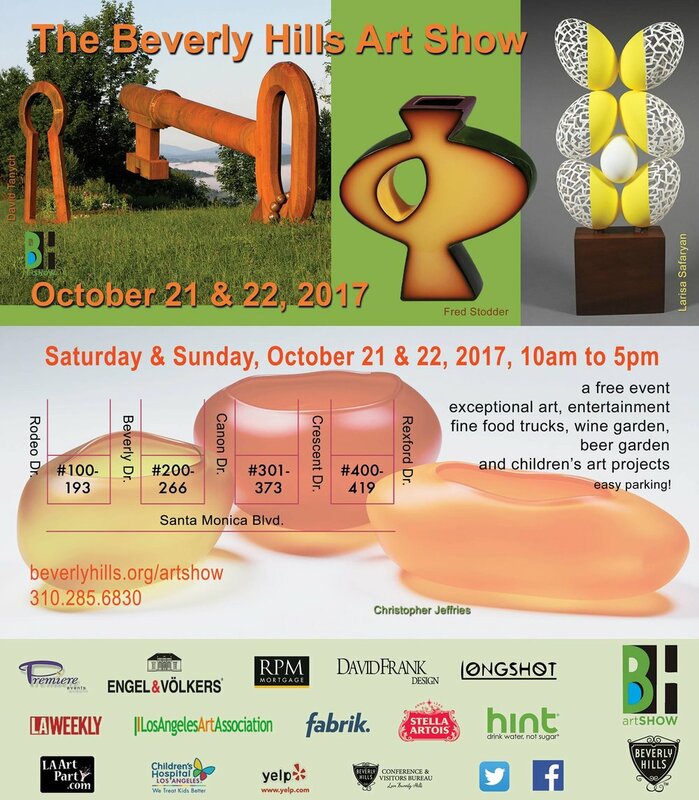 I will be participating in the Beverly Hills Art Show this weekend Oct 21-22, 2017! This will be my second time showing at this event and I can't wait to show everyone what I have been up to! COME JOIN US THIS SUNDAY FOR AN AFTERNOON OF FREE FOOD, DRINKS AND AMAZING SAVINGS ON SOME OF LA'S BEST THREADS! 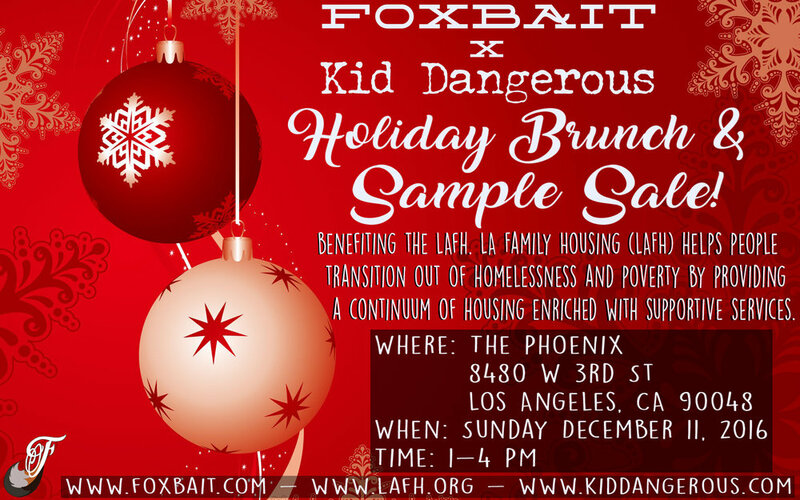 WE'LL BE RAFFLING OFF SOME GREAT GIFT BAGS INCLUDING MY ENAMEL PINS, RANDOM PRINTS, FOXBAIT AND KID DANGEROUS CLOTHES! IT WILL BE A SUNDAY FUNDAY AND WE HOPE TO SEE YOU THERE! 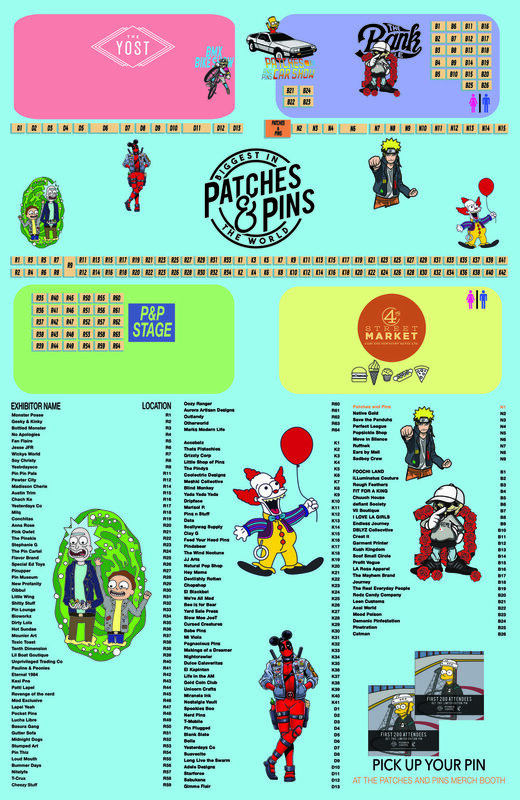 I'VE ALREADY SENT THIS FIRST CLUE OUT TO ALL MY EMAIL SUBSCRIBERS YESTERDAY AND THERE ARE STILL A FEW PIN PACKS LEFT TO GO! CHECK OUT MY STORE TO FIND THE LINK TO MY SECRET HOLIDAY GIVEAWAY PAGE! I'LL BE RELEASING SOME MORE FREE STUFF SOON SO SIGN UP FOR MY NEWSLETTER TO GET THE INFO ON THE NEXT GIVEAWAY! HERE'S A PEAK AT SOME UPCOMING GIVEAWAYS! HAPPY HOLIDAYS! ReveLAtion Pop Up Shop Success! FOXBAIT IS PARTICIPATING IN A POP UP SHOP THIS WEEKEND AT REVELATION LA! HEY EVERYONE. JUST WANTED TO LET EVERYBODY KNOW THAT FOXBAIT WILL BE HAVING A FALL POP UP SHOP & SPRING/SUMMER 2017 PREVIEW THIS WEEKEND AT SIREN STUDIOS (ORANGE) LOS ANGELES. IN ADDITION TO OUR CLOTHING MYSELF AND FELLOW DESIGNER CAMILLE MACMILLAN WILL ALSO BE SHOWCASING SELECTIONS FROM OUR LATEST ARTWORKS! SO IF YOU'RE IN TOWN GRAB YOURSELF A TICKET FOR $10.00 AND COME BY AND SEE EVERYTHING THAT WE'VE BEEN WORKING ON. HOPE TO SEE YOU THERE! ReveLAtion is the immersive 2 day fashion experience with a lineup of industry events and showcases to give the public an inside look at the fashion industry. All Ages. Please bring Photo ID. Students MUST bring School ID. No animals, no food/drink. The venue is wheelchair accessible. No - Your ticket must be for you! CHECK OUT THE PIECE WRITTEN UP ABOUT THIS WEEKENDS BEVERLY HILLS artSHOW FEATURING YOURS TRULY! 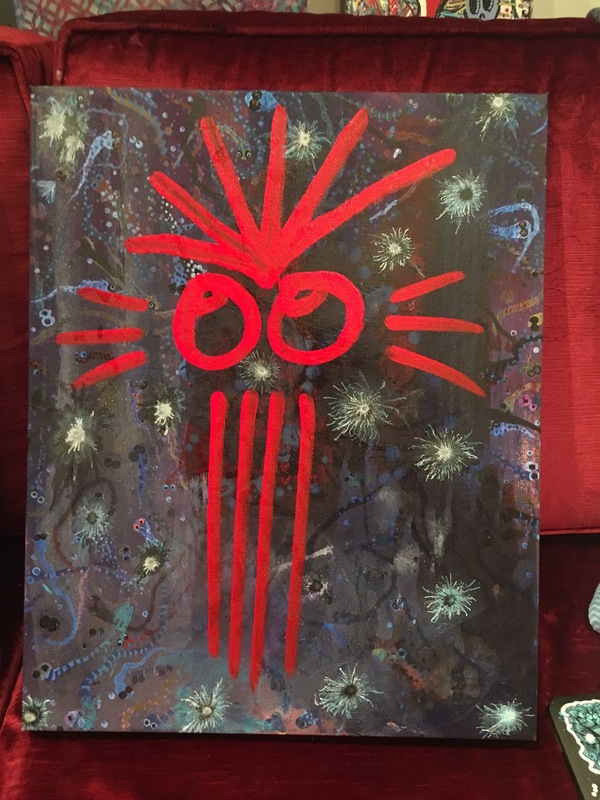 SO MANY THANKS TO KATHY LEONARDO FROM LAARTPARTY.COM FOR INCLUDING ME IN THE ARTICLE! 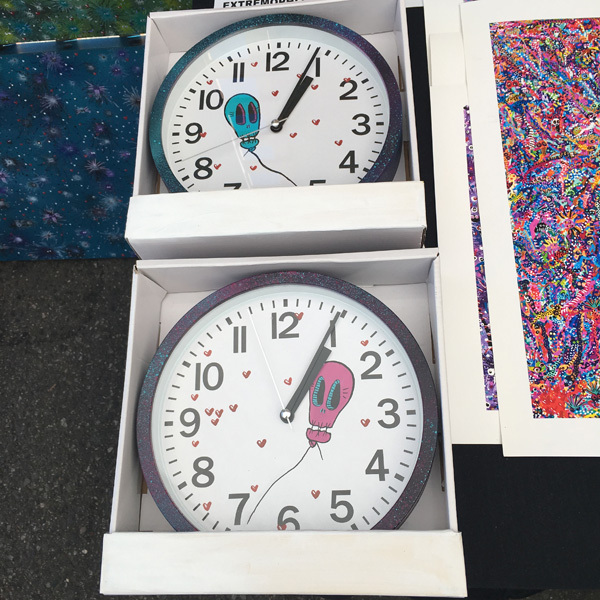 THE BEVERLY HILLS ART SHOW STARTS TOMORROW MORNING AT 10AM TILL 5PM AND ONCE AGAIN ON SUNDAY FROM 10-5PM. DON'T MISS YOUR CHANCE TO COME OUT AND SEE SOME AMAZING ART IN THIS OUTSTANDING OUTDOORS ART EVENT! I WILL BE LOCATED AT BOOTH 164 RIGHT IN THE CENTER OF THE RODEO DRIVE PORTION OF THE SHOW. I HOPE TO SEE YOU THERE! 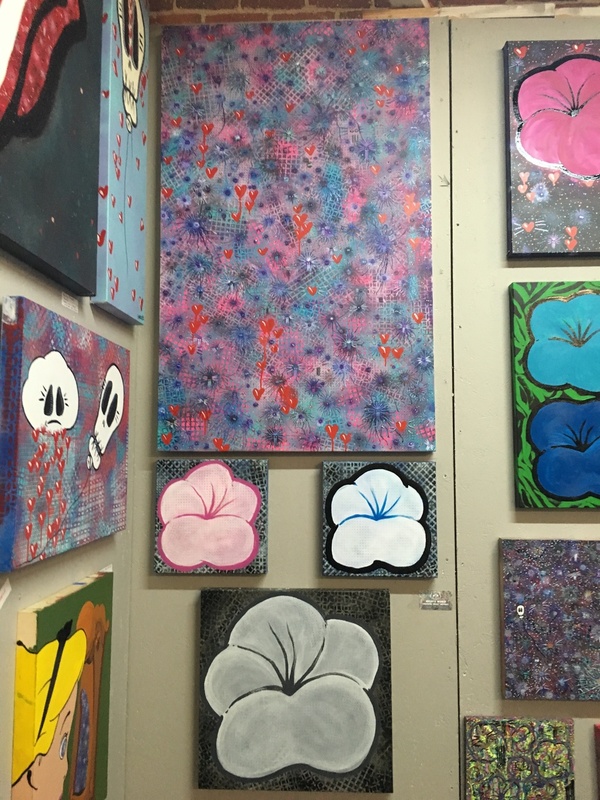 Come check out my art at the Beverly Hills Art Show! I just wanted to let you all know that I will be participating in the Beverly Hills Art Show this coming weekend October 15-16, 2016. I've been working super hard on a bunch of new art and can't wait to have it on display amongst 239 other amazing artists! 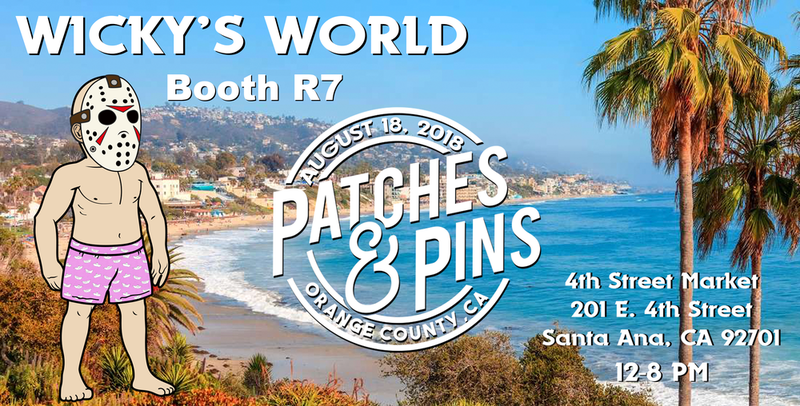 Along with all the incredible art that will be on display there will also be food trucks, a wine garden, beer garden (conveniently located near my booth 164) and plenty of art activities for the kiddies! The show opens on Saturday at 10AM and runs till 5PM and then the same on Sunday so there's plenty of time to make your way down and check out some great art and say what's up! There will also be a special feature called "Construction" which I'm not too sure what it will consist of, but I can't wait to see! So if you have some time this weekend come on by and get some culture and I hope to see you there! Also if you have some spare time go check out my Facebook page and give me a like! I'll be posting more images of pieces I have been working on and if you can't make it to the show I will also be posting images throughout the weekend as well as doing some live feeds! Thanks again to everyone that came out to see my work at the Abbot Kinney Festival! Here are a few images below. Thanks to Venice Paparazzi for the photo of me and my Storm Trooper and go check out their site for photos of the whole day! On another note, my clothing brand Foxbait will be showing our Spring/Summer 17 collection at Capsule October 17-18 at the California Market Center! We've been working super hard on this for some time now and can't wait to show everyone what we have come up with. You can see our latest lookbook on the site now and if you sign up for our email list we will give you 15% off you entire first order! THANKS FOR CHECKING IN AND I HOPE TO SEE YOU ALL THIS WEEKEND! FOXBAIT'S FALL SHOP IS OPENING UP OCTOBER 5! MY CLOTHING BRAND FOXBAIT WILL BE RELEASING its FIRST FALL PRODUCTS ON OCTOBER 3 with a special surprise coming on the 5th! I'VE BEEN WORKING SUPER HARD ON THIS FOR SOME TIME NOW, NOT ONLY CO-DESIGNING BUT ALSO DOING THE PHOTOGRAPHY, FABRIC SOURCING, and WEBSITE CREATION. I'M JUST SO EXCITED TO WATCH OUR BRAND GROW AND BECOME WHAT IT IS! CLICK THE IMAGE BELOW TO BE DIRECTED OVER TO FOXBAIT'S WEBSITE. IF YOU SIGN UP TO BE ON OUR EMAIL LIST WE WILL GIVE YOU 15% OFF YOUR FIRST ORDER AND WE ALWAYS SHIP FREE OF CHARGE WITHIN THE US! WE WILL ALSO BE SHOWING OUR SPRING/SUMMER COLLECTION AT (CAPSULE) LOS ANGELES OCTOBER 17-18 AT THE CALIFORNIA MARKET CENTER! THANKS SO MUCH TO EVERYONE THAT CAME THROUGH THE ABBOT KINNEY FESTIVAL YESTERDAY! THANK YOU TO EVERYONE THAT CAME BY MY BOOTH YESTERDAY AND PURCHASED SOMETHING AND TO EVERYONE THAT JUST CAME BY TO SHOW SOME LOVE TOO! I HAD SUCH A FUN TIME FOR MY FIRST FESTIVAL AND GOT SO MANY GREAT COMPLIMENTS AND WORDS OF ENCOURAGEMENT. IT WAS A HOT DAY SO IT MEANS A LOT THAT YOU ALL BEARED THE HEAT AND CAME OUT TO THE FESTIVAL! CHECK OUT SOME PHOTOS AND VIDEO FROM MY BOOTH BELOW AND I HOPE TO SEE YOU NEXT YEAR! One of my biggest fans stopped by the booth at the Abbot Kinney Street Fair for a few minutes yesterday. He really liked my Ghost Balloon trap but had no way of getting it home with him. 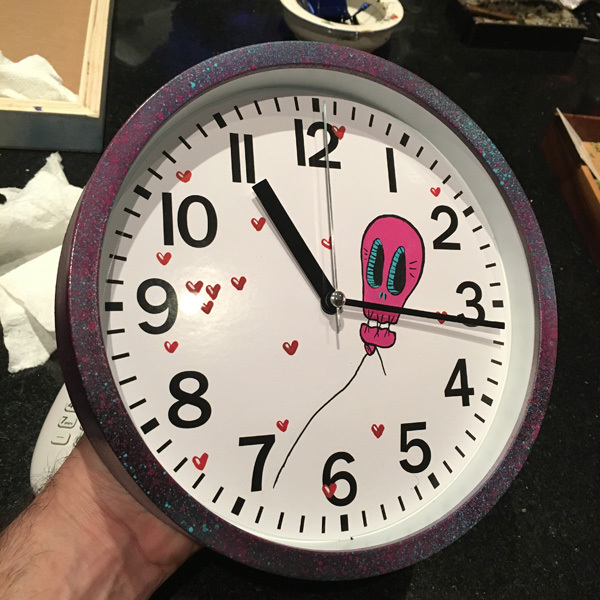 I'll be shipping it out to him once I get everything settled back in the studio. I'm now offering free domestic shipping on all prints and leggings through my site. I will be adding a lot more products in the upcoming days as well, so check back often or join my email list for updates on upcoming shows, products and give aways! CHECK OUT THE VIDEO BELOW. COME CHECK OUT MY BOOTH #278 AT THE ABBOT KINNEY FESTIVAL! HEY EVERYBODY! IT'S GETTING CLOSER TO THE ABBOT KINNEY FESTIVAL AND I CAN'T WAIT TO SHOW YOU ALL WHAT I'VE BEEN UP TO! CHECK OUT THE MAP BELOW SO YOU DON'T GET LOST TRYING TO FIND ME AND I HOPE TO SEE YOU THERE! 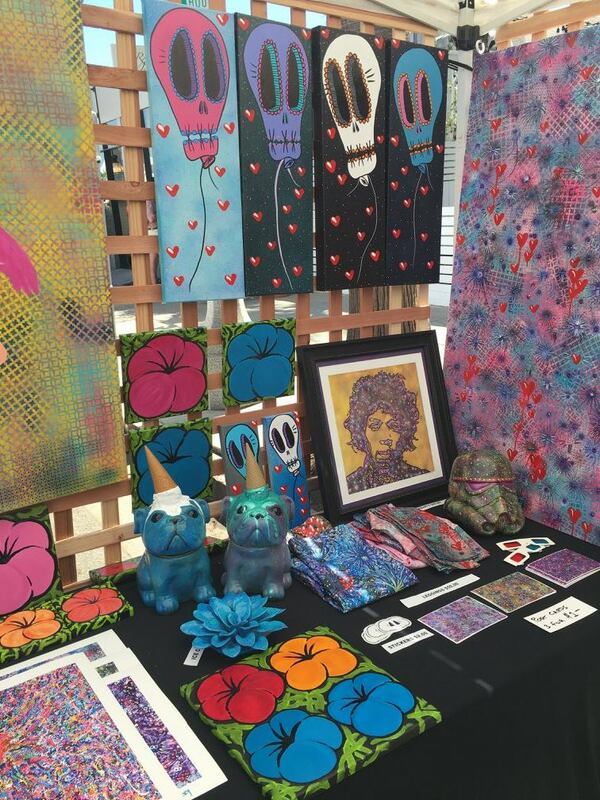 COME CHECK OUT MY ART AT THE ABBOT KINNEY FESTIVAL! I WILL BE AT THE ABBOTT KINNEY FESTIVAL SEPT 25, 2016 SHOWING/SELLING MY PAINTINGS, CERAMICS, LEGGINGS, PRINTS, TRAPS AND MUCH MORE ! I'VE BEEN WORKING ON A BUNCH OF NEW THINGS AND I CAN'T WAIT TO SHOW YOU ALL ! STAY TUNED FOR BOOTH INFORMATION AND TIMES! HEY NOW! NOW I MUST ADMIT I'VE TAKEN SOME TIME OFF FROM WORKING ON MY SITE, BUT ONLY TO PAINT MORE AND FOCUS ON MY CLOTHING LINE FOXBAIT. I PROMISE TO MAKE SOME TIME IN THE COMING WEEKS TO IMPROVE MY SITE AND THESE NEW PHOTOS OF MY LEGGINGS ARE JUST THE START! AVAILABLE NOW IN MY SHOP FOR JUST $48.00! SHOP NOW! 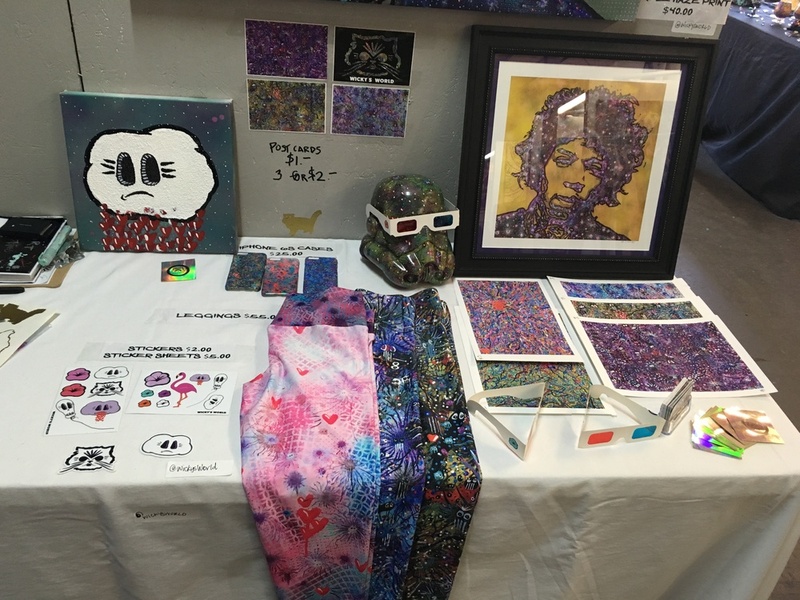 CHECK OUT THE ARTICLE ON STREET ART FAIRS IN THE HUFFINGTON POST WHERE YOU CAN SEE MY BOOTH AND SO MANY OTHERS FROM SUCH GREAT ARTISTS! THANKS AGAIN TO EVERYONE THAT CAME THROUGH AND SUPPORTED THE ARTISTS AND THANKS TO JEFF HAMILTON FOR THROWING SUCH A GREAT EVENT, SEE YOU ALL NEXT TIME! MAKE SURE TO CHECK OUT MY SHOP WHERE I HAVE MY EXTREMOPHILE PRINTS AS WELL AS JIMI HENDRIX PURPLE HAZE PRINTS, PHONE CASES AND NEW LEGGINGS! ORIGINAL PAINTINGS WILL BE UP AND AVAILABLE SOON! I am very proud to be participating along with 70 or so other AMAZING artists this week at Street Art Fair International ! 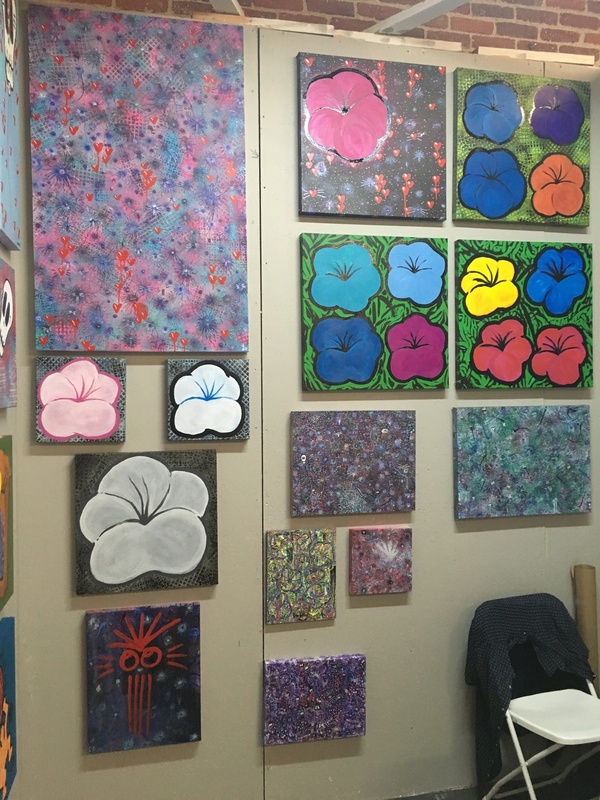 Come by my booth and check out all my new paintings, a couple oldies and a bunch of cool merchandise! I will have originals, Extremophile prints, stickers, phone cases and leggings for sale. Check out Foxbait's AW 16 woman's wear runway show held at the Pacific Design Center in West Hollywood, CA on March 18, 2016. COME BACK SOON FOR TONS OF BEHIND THE SCENES FOOTAGE LEADING UP TO THE SHOW!